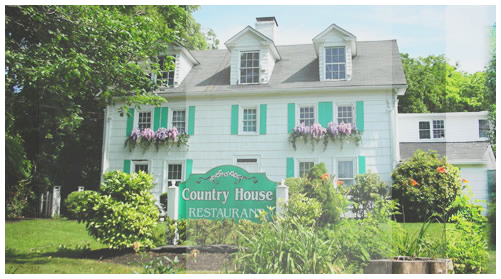 Welcome to the Country House Restaurant (Circa 1710) - Stony Brook NY. Dedicated to serving the finest food and spirits in one of Long Island's most historic homes. The restaurant is open serving brunch from 12 p.m. to 3 p.m. and serving dinner from 4 p.m. to closing. Outside summer dining available. Reservations are suggested. Open Mondays seasonally, call for details. 3 p.m. - 5 p.m. Live Music Every Friday Night! Voted Most Romantic Restaurant on Long Island, by AOL City Guide 2007. Gift Certificates can be purchased Year-round.